In case you missed it, Malia Obama was recently spotted at a party with college kids while scoping out Brown University. Sources say she was taking shots and playing beer pong and it was supes casual, because why wouldn’t it be? Because she’s the POTUS’ first born? Because she brought her entourage of secret service personnel? Psh! Whateva, she does what she wants. What sources DIDN’T tell you is that she, being the smart girl that she is, is simply practicing for her soon-to-be, long-lasting career as a loyal Zogger. 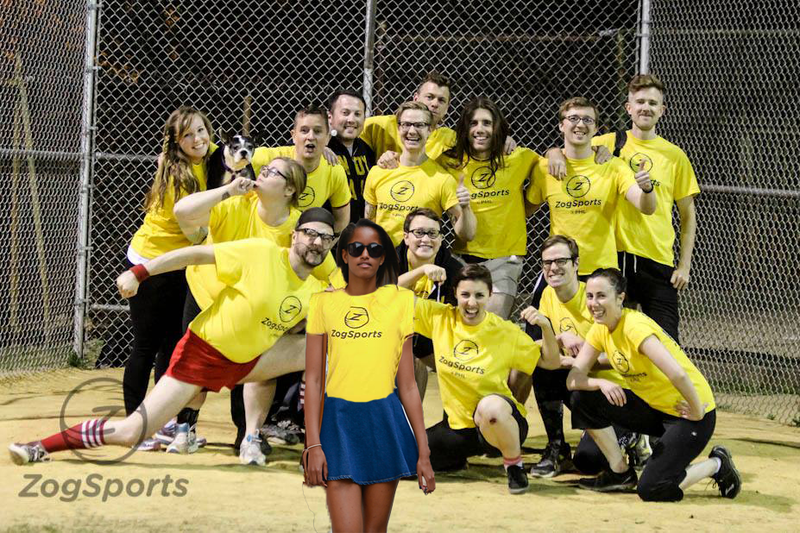 Yes, we know she’ll easily be able to land her dream job at the snap of a finger, but that doesn’t mean she’ll be able to show up her opposing kickball team in a post-game beer pong rally just as easily – that one’s gonna take some practice. And we get it, Malia. We totally get it. 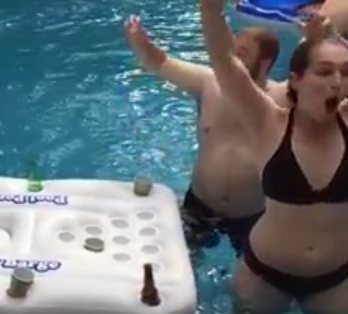 She has high standards to live up to and everyone is going to EXPECT her to be good at everything – even beer pong. So, keep practicing, Malia (although practice with water cups, because we don’t condone underage drinking), and on your 21st birthday, we want you to come show us your skills! We are offering you a ZogSports season in any sport on us. And if you want to get the whole family involved, remember we have ZogSports in DC! And if YOU want to show off your beer pong skills, join a team with America’s most popular coed, social sports league! 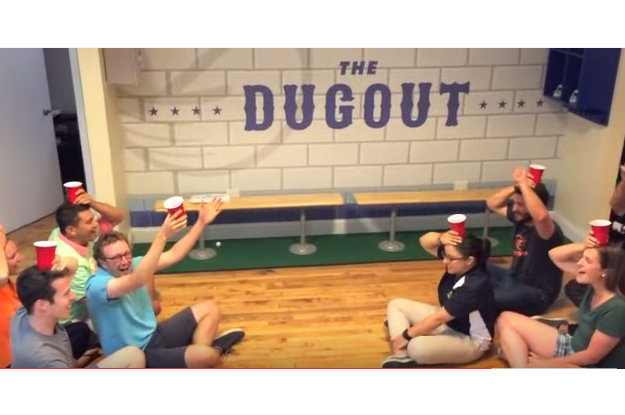 We weren’t ready for Labor Day Weekend to be over, so we kept the party going with some in-office Peer Pong! 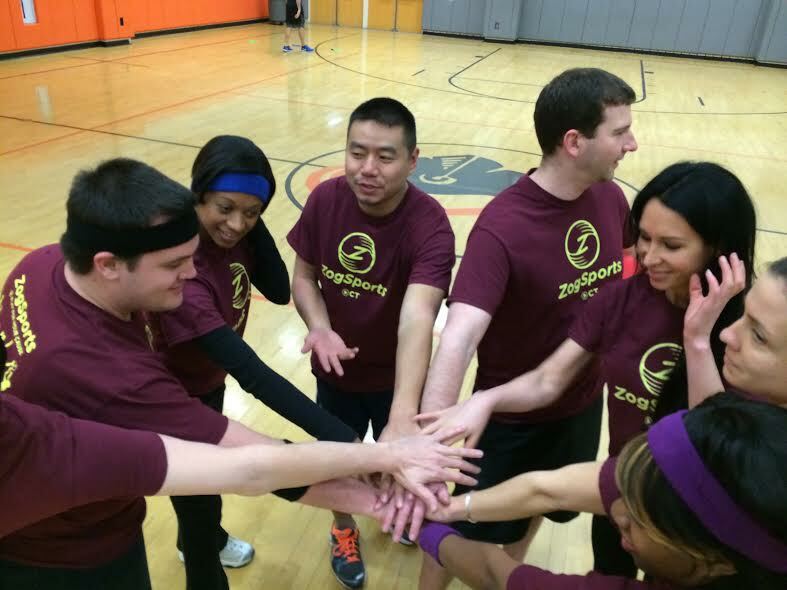 Join a ZogSports Co-Ed Social Sports league and play your own game of Peer Pong at your post-game happy hour! Want to join our fun team? 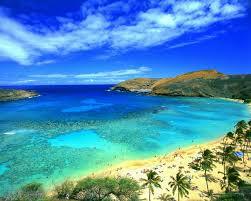 Apply to be a referee here. Warren Klein is new to the Stamford scene but is here to share how his new move turned out better than expected. He gets by with a little help from his new Zog friends. When I moved to Stamford in September without knowing anyone in the area, I half expected to spend my evenings like an old cat lady, without the cats: talking to myself and shuffling around aimlessly. Don’t get me wrong, I have great conversations with myself, but I always know what I’m about to say and finish my own sentences, which can be frustrating since I hate being interrupted. I knew I needed to reach out into the city of Stamford and see what I could find; otherwise a trip to the looney bin may have been in order. Enter Zog, no, not the gate keeper, nor the key master, but a great organization that sweats fun, and bleeds awesome. I found them at the recommendation of a friend from New York. This was apparently a new extension of the organization into Stamford and they clearly led with their best foot forward. 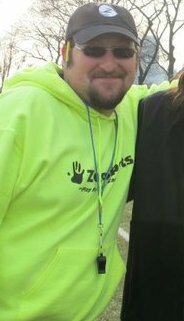 The GM Devin is an effervescently bubbly league manager who is consistently seen laughing, answering questions about the league, and playing a mean game of beer pong. The refs for our games are knowledgeable and fun to shoot the sh*% with as well. I have to say, as great as the staff is, the league itself is what makes ZogSports tick. Put simply, the organized games are designed to facilitate fun. Putting together a group of 10+ strangers can sometimes be a recipe for disaster, but I don’t think I’ve ever experienced a warmer group of people that fit together so well with so many different personalities. We began the year on a high note, with a few of us meeting for drinks before the first game was played. This established the tone for the season: this league was about meeting young fun people in the Stamford area. 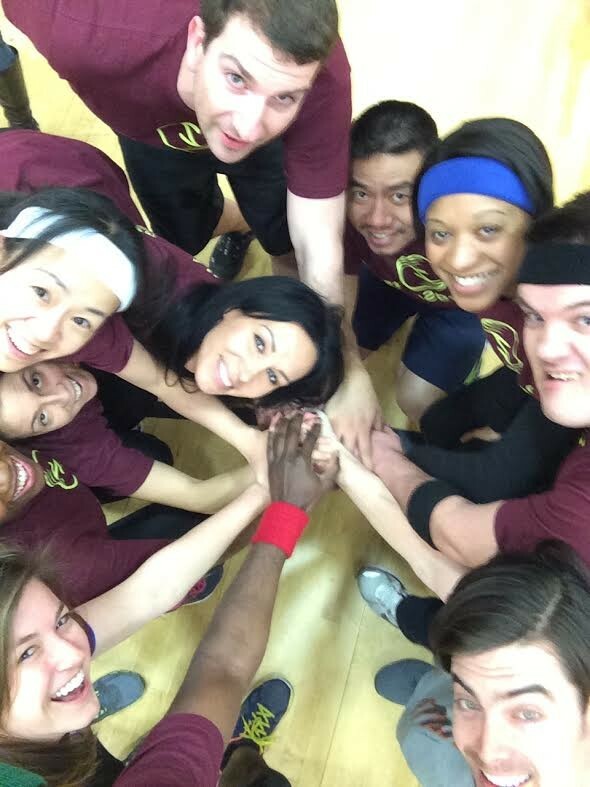 The pre and post game trips to the sponsored bar became a weekly release of stress for all of us who participated in the epic “Team Dodge Burgandy” experience. Bar nights progressed to game nights at the various team members apartments, and even a Super Bowl party at my place (which admittedly was an abysmal failure because Peyton Manning forgot to put his big boy shoes on before leaving his hotel that morning). Seriously, what a terrible Super Bowl. Through the season the hilarity continued; we discovered two of our teammates had irrational fears of the Sleepy Hollow headless horseman. We discovered our self-appointed and self-important team captain, Jay, has a deep seeded childhood trauma from a Taboo game gone wrong, and I have not seen a temper tantrum throw like that in a good 20 years: “TABOO IS THE WORST GAME EVER!” We discovered that you can lose a phone in the cracks of the bleachers; we discovered that colored headbands make us easier targets for the other team, and last but not least we discovered that we all are very happy to have met each other and participated in this league. In an attempt to cloud source my work for this blog I emailed the whole team for input, and in an “aww” moment, we realized that what mattered most to all of us was the budding friendships we’d made, the fun we’d had, and a desire to beat the snot out of the red team who embarrassed us on multiple occasions with a coordinated attack involving misdirection, distraction and a ruthlessness unseen in Stamford since the great squirrel invasion of ’97. I want to cap this blog entry off with my sincerest gratitude for everyone who has worked for ZogSports to make this winter so much more bearable and introducing me to my wonderful teammates (except captain Jay). Dodge Burgandies will return stronger, faster, and better than before. Part II begins this spring. Neil Loughrie is next on deck to share the good, the bad and the ugly with his ZogSports family. Aside from refereeing not one but two ZogSportsLA leagues, you can find him catching up on his daily dose of celebrity gossip or beating you at the happy hour bar games. 2. When did you start working at ZogSports? I started last March in the inaugural football season of Zogsports LA. 3. Guilty Pleasure? Celebrity gossip blogs. It’s like a bad car accident on the side of the road, I can’t keep myself from looking. 5. Hidden Talent? I think I’m a pretty good cook, but I don’t do it very often, so I guess you could say its hidden. 7. If you were a drink, what would it be? Why? Bourbon and ginger, mostly because that’s my drink of choice. 8. Funniest ZogSports Memory? This actually happened just last week. I was reffing a game and the ball took a bad bounce and hit me directly in a certain area. I’m pretty sure everyone had fun watching me doubled over in the middle of the field. 9. If someone wrote a biography about you, what do you think the title should be? Why? Hmm, I don’t know. “From the South to the Southland” maybe… that’s how I’ve moved around so I think that works. 11. Which celebrity would you love to meet? 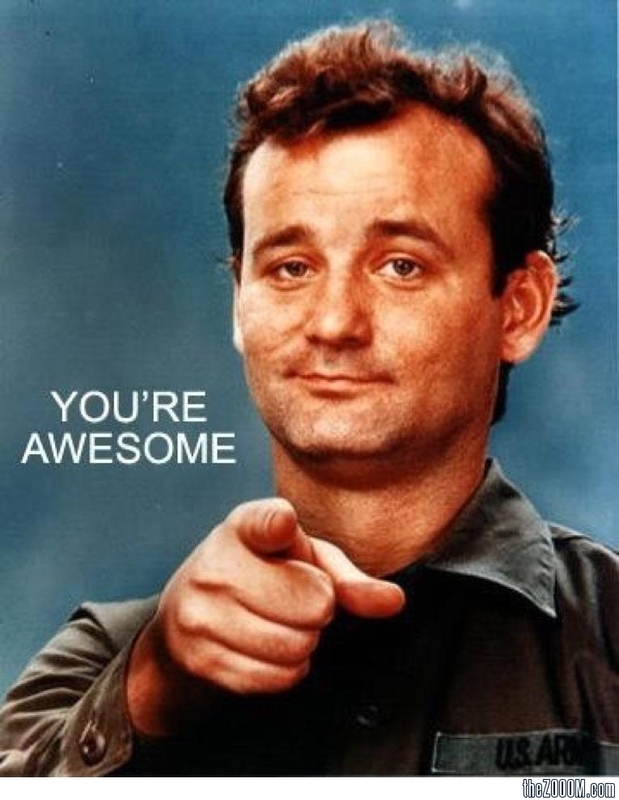 Bill f***ing Murray! 16. What’s the worst present you’ve ever received? A family member sent me a neck-warmer one year…. I live in LA. I think it’s still in the packaging. 17. What’s on your fridge door? A photo-booth photo from my friend’s wedding, and invitation to another friend’s wedding, and the ticket from a Lakers game I went to earlier this year. 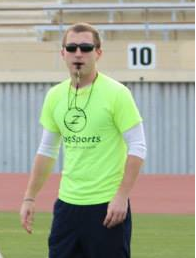 The next referee featured is ZogSportsNYC’s Keith Gitlitz. Aside from reffing, you can catch him singing along to Rihanna in the Zog HQ. 9. Which celebrity would you love to meet? Why? Sir Alec Guinness, because he’s awesome. 14. What’s the worst present you’ve ever received? A gun rack. What am I gonna do with a gun rack? I don’t even own a gun, let alone several guns that would necessitate an entire rack. 19. Have you ever been in a newspaper or on tv? If so, where? Yes, my photo appeared in the Miami Herald as a kid when they put a new playground in at a local park and I was interviewed before Game 3 of the Panthers-Avalanche Stanley Cup Finals and Game 3 of the Heat-Mavericks NBA Finals.